For years, any place that had a Coca-Cola Freestyle machine, you could make whatever type of drink and flavor that the self-service soda machine had available to it. While I always liked to make Coke with Lime, one of my favorites was always to make a Cherry Sprite. 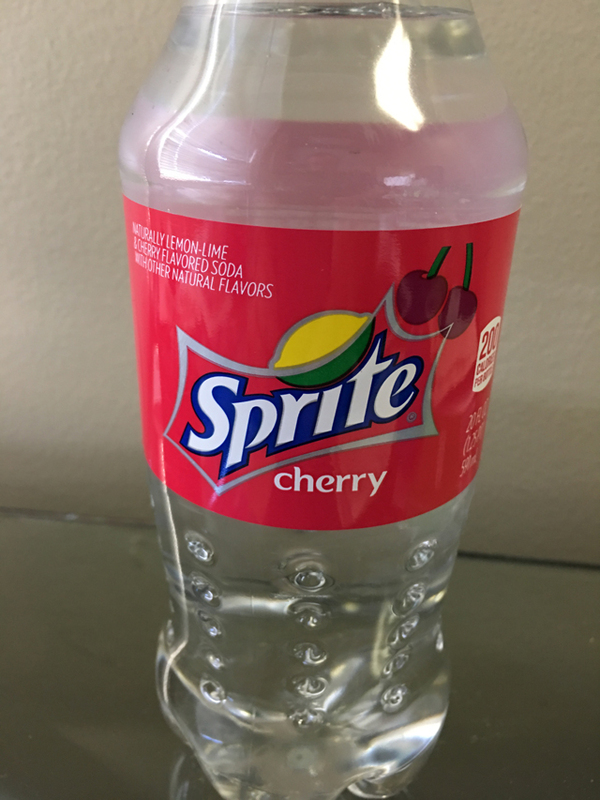 Well, now you can get that mixed flavor in a familiar 20 oz plastic bottle at your favorite convenience store near you as Cherry Sprite makes its retail debut. 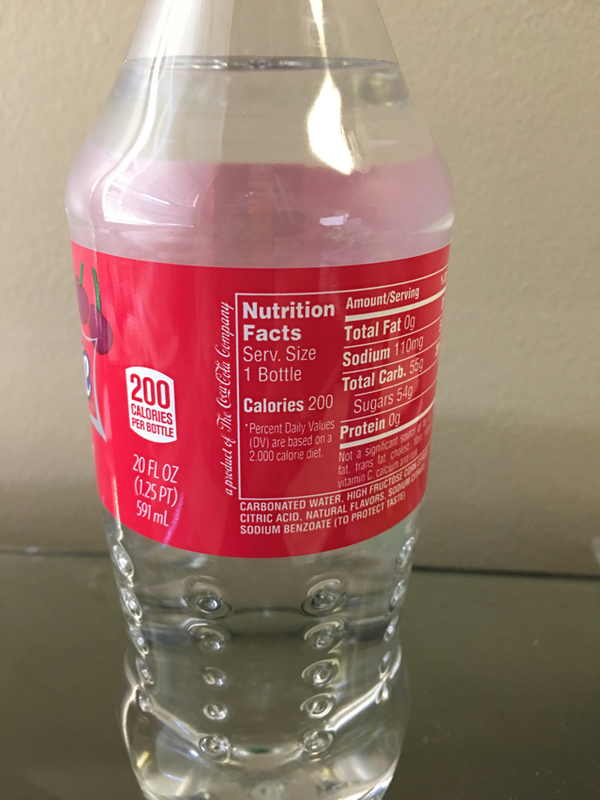 Cherry Sprite – 200 calories per 20 oz serving. Taste wise, it’s a bit sweeter than the ones I used to make from the Freestyle machine. But that’s mostly due to the manufacture of bottled soda. 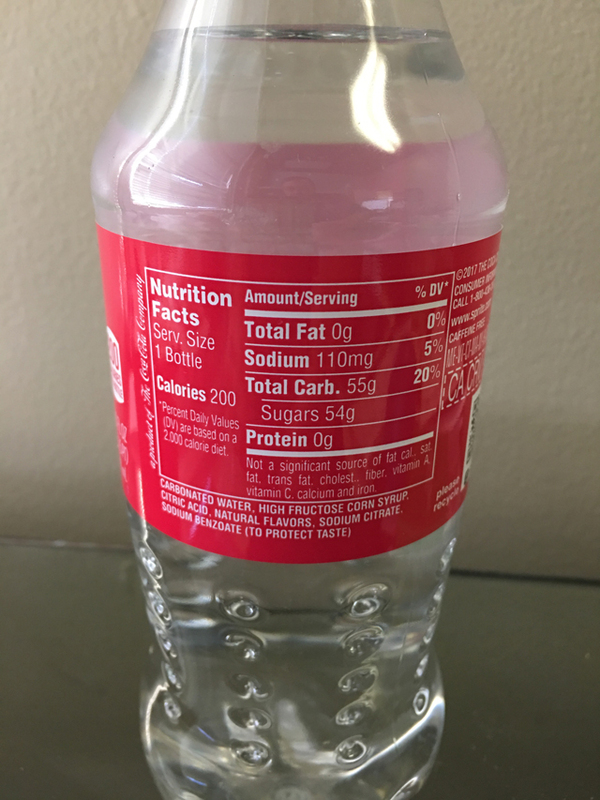 Ingredient wise, it’s no different than other bottles sodas. My one wish is that these companies would stop using High Fructose Corn Syrup and use sugar instead. Pepsi has started to in their drinks, labeled as Throwback. I’ve only tried the one bottle so far, and I do like it. But my soda consumption the last 8 years has been limited, mostly for health reasons, so it might be a while before I pick up another Cherry Sprite. But it’s one that I will be more than happy to try again. I haven’t seen that yet. I’ll have to look. I can’t believe it’s clear. Very weird to not have artificial colors. Yeah, the clear was interesting, that’s for sure.